Greetings to all of you from the road in Southeastern Minnesota. One of the many wonderful blessings of the Bishop’s Area Gatherings is joining our faith communities as they come together. Among others, we have gathered around the Lord’s table, around tables in parish halls, on a basketball court, and in front of the television to watch the Super Bowl. 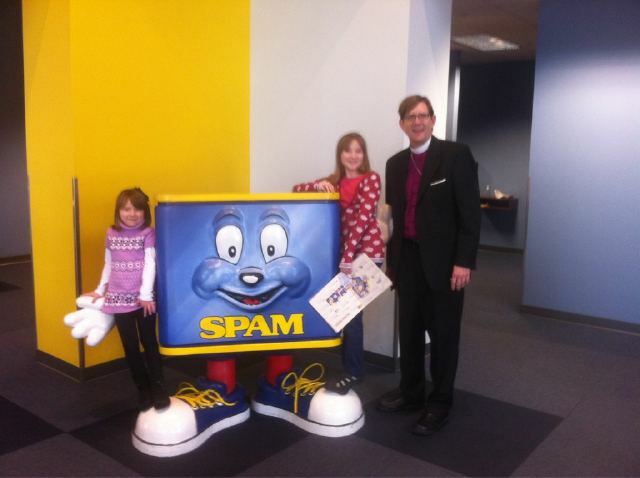 Oh, and who could forget the SPAM museum! While we are often aware of the vitality of our particular faith community, through these gatherings we are able to share our individual stories and be inspired by others. As I travel and listen to stories and witness faith communities generating energy and life, I can already see how our renewed focus on collaboration and partnership are bearing fruit. It’s not only exciting, but truly transformational to be a part of this experience; the experience of the Spirit leading us forth to engage God’s mission. It is an incredible blessing to serve with you.